Here at TWG Sport, we have over 20 years experience, between our eager and well skilled team, in the motor trade business. We can test any make of vehicle and we just have extensive knowledge in all makes, we can offer a one stop MOT and Service situation within a Company you will feel safe with. Our Snap-on MOT test rig is specially designed for low vehicle suspension making it the best choice for your Porsche ensuring no body under damage is caused. The mission of TWG Sport. 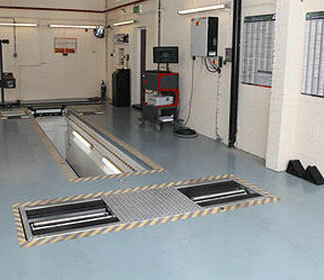 is to give each and every one of our customers an independent, professional MOT for their vehicle. We are efficient and friendly, and try and make every customers MOT experience a pleasant one. As part of our commitment to our customers, we don't believe in charging for a re-test for vehicles that have failed their MOT and as such offer a free 10 day re test period. Here at TWG Sport we pride ourselves on being an independent Mot Test Centre Garage in Peterborough and as such have no "sales targets" - which means no pushy salesmen trying to sell you additional parts or services that you just don't need. If your current MOT Certificate has become damaged or stolen, or you have simply misplaced it - don't worry - just order your replacement MOT Certificate with us.